Since bringing home so many land deeds last week, I began the task of transcribing them. Out of seventy plus deeds, nine are completed. While doing this is important for the sake of my research (for my comprehension), transcribing the deeds serves a secondary purpose as well. 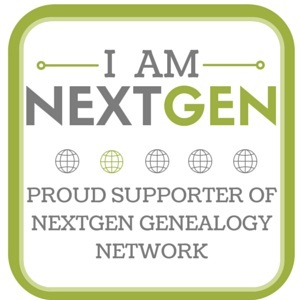 For the Board of Certified Genealogists’ portfolio, items 3 and 4 (Document Work) consist of transcribing and abstracting a document, as well as constructing a research question, analysis, and formulating a research plan. There are no limitations on what type of document one chooses to transcribe and abstract, but two of the most common types of documents are wills and land deeds. The first time one transcribes a document should not be for the portfolio. Practice is required! I consider myself a fairly competent transcriber, especially after deciphering my grandparents’ handwriting over the course of the WWII project. But transcribing wills and deeds requires an additional set of skills. Because these are legal documents, having a familiarity with legal terms is a must. Learning to recognize unfamiliar terms in a clerk’s chicken scratch can be difficult. Even though I have only transcribed nine deeds so far, I am very familiar with the terms “hereditaments” and “appurtenances” at this point. After a while the boilerplate language becomes predictable and easier to transcribe. Again, this is where I stress practice! The book Professional Genealogy edited by Elizabeth Shown Mills has a chapter on transcribing and abstracting documents. Chapter 16 provides a variety of examples and forms, including wills, land deeds, and estate inventories. I highly recommend this chapter for anyone attempting transcriptions or abstracts. In fact, the book lays open on the floor by my desk as I work on my transcriptions. Until next week! Sadly my summer vacation is almost over as I must return to the classroom very, very soon. August 1st—my self-imposed date for mailing in my preliminary application form to the Board for Certification of Genealogists is rapidly approaching as well! Things I do in my spare time…I knit. 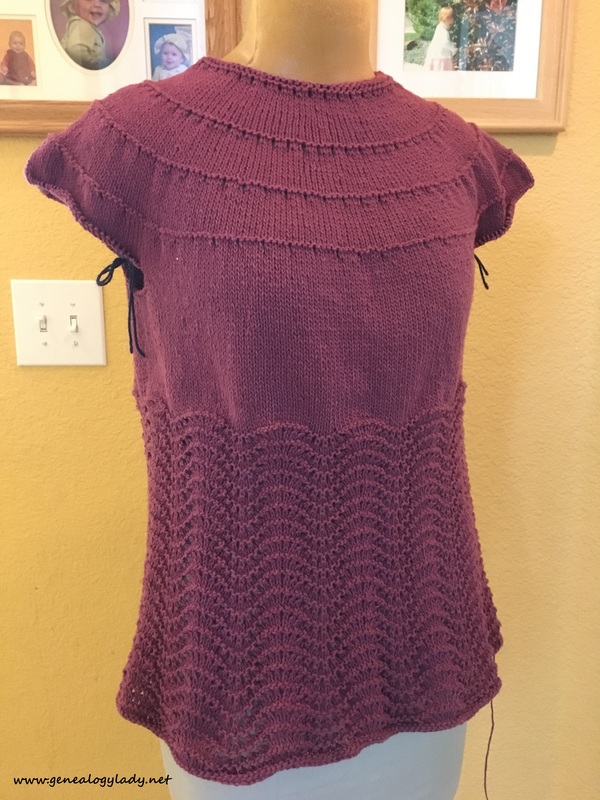 I am almost done with a sweater for this fall. I should have it completed by next week. 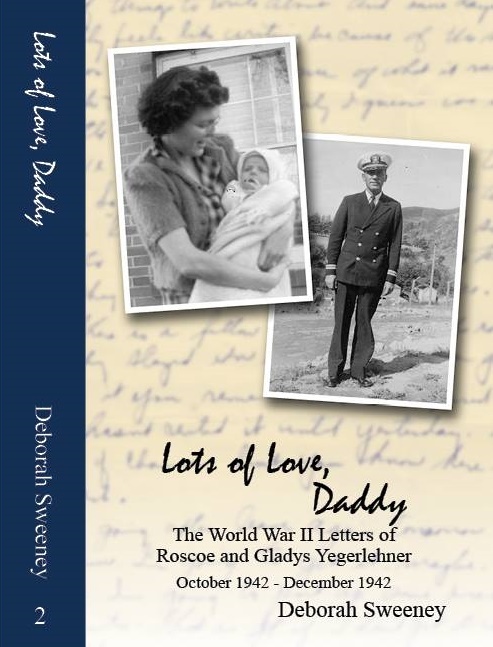 This entry was posted in Certification, Genealogy and tagged abstracts, board of certification of genealogists, certified genealogist, Standard 32, transcriptions, writing on July 25, 2017 by Deborah Sweeney. “After a while the boilerplate language becomes predictable and easier to transcribe.” Same with my diaries. Even thought it is my own handwriting, I find that the often-repeated terms and phrases are easy to grasp even when the writing is sloppy. Deborah, great post. I would like to see a post that instead of focusing on the transcription/abstraction portion of the Document Work, that you focus on the analysis. Of the 10 rubrics for the Document Work only 2 are about the transcription and 2 are about the abstract…the other six focus on the analysis. I’ll get to it eventually! And I will keep that in mind for a future post. Thank you for reminding me about the rubrics. We will see if I can keep this weekly posting once school starts and I start doing so heavy lifting on the portfolio work. Hooray! I love these updates. Great job on the sweater, I am super impressed. I have never knitted, I don’t think I’d be any good – carpal tunnel. So I am extra impressed when someone is so skilled at knitting. Is this sweater not for you?